Fans of retro horror are no doubt familiar with the work of Fred Dekker. 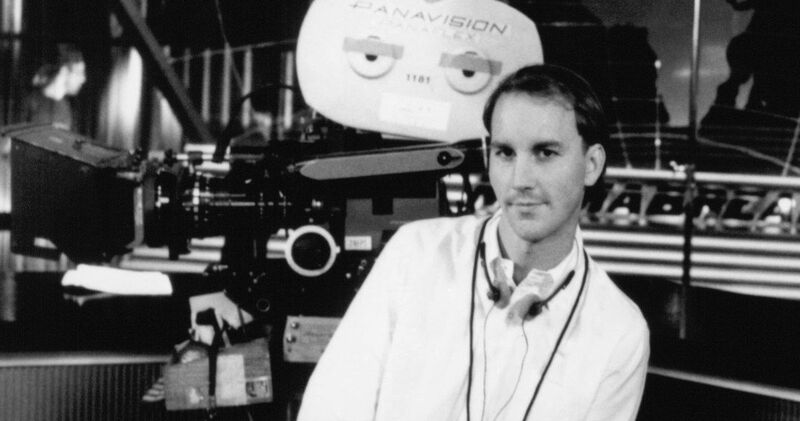 The filmmaker is known for helming the classic 1987 hit The Monster Squad, which served as a great introductory entry for budding horror lovers. A beloved cult classic for genre aficionados, the movie focused on a group of kids working together to stop the Universal Monsters from taking over the world. After releasing his third and final movie in 1993, however, Dekker semi-retired from filmmaking, sporadically working on screenplays and never directing again. Now, after co-writing The Predator with The Monster Squad co-writer Shane Black, Dekker says he’s ready to dust off the slate and start directing movies once again. In addition to The Monster Squad, Fred Dekker is also the writer and director of the 1986 horror comedy movie Night of the Creeps. Starring Tom Atkins, Jason Lively, Steve Marshall, and Jill Whitlow, the cult classic is about zombies attacking a formal dance at a university. An homage to B movies, the film spoofs zombie horror in addition to alien invasion and classic slasher movies. Like The Monster Squad, the movie wasn’t a box office smash, but still managed to develop a strong cult following in the years since. RoboCop 3 would be Dekker’s third and final movie as a director. Co-written by Dekker and comic book author Frank Miller, the sequel continues the adventures of the titular crimefighter as he avenges the death of his partner. Unfortunately, the movie was a box office bomb, earning less than half of what it cost to produce it. The sequel is nearly universally panned as well, sitting on a measly 3% rotten rating at Rotten Tomatoes. Dekker has since taken responsibility for the movie’s negative reception, and stepped away from making movies beyond a few odd writing gigs over the years. With RoboCop 3 many years in the past, Dekker is now clearly ready to move on and try his hand with a new movie. One peculiar aspect of both Night of the Creeps and The Monster Squad is that both cult classics have managed to avoid the reboot treatment. Don’t expect that to change anytime soon, either. Regarding a planned remake of the latter that fell through, Dekker said he was “very happy” to see the filmmakers admit their defeat in getting it made. Dekker also points out that some fans consider Slither to be an unofficial remake of Night of the Creeps, but he has too much respect for director James Gunn to call him on it. “Anyway, it feels more like a rip-off of The Fly!” Dekker stressed. Related: Rob Cohen to Produce Monster Squad Remake? As explained by Dekker, he is currently developing on a Destroyer action movie, but it’s not clear if he’ll be the one directing. It seems that while he’s ready to start helming movies again, he’s waiting for the perfect project for him to come along first. If one thing’s for sure, Dekker likely wants to make a new cult classic like he did with his first two movies, as opposed to what happened with RoboCop 3. You can read the full interview with Dekker over at Retro Injection.